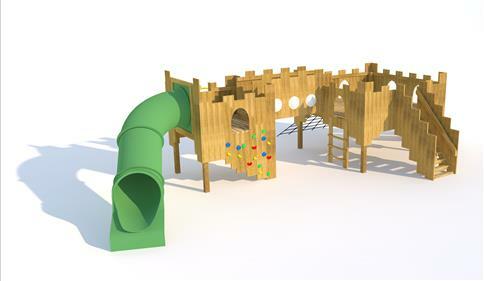 Our Langley Play Castle is a magnificent structure that lends itself to both active and imaginative play. 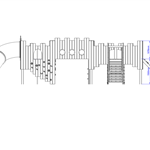 Children can access the castle via climbing walls and nets making play open ended and free flowing. The spaces on top of the castle are huge and ideal for child-led games and even storytelling lessons with the children. Den-making will come to life under the castle which adds great variation to children's play but as well as dens, children can use the space underneath for solitude and quiet time. 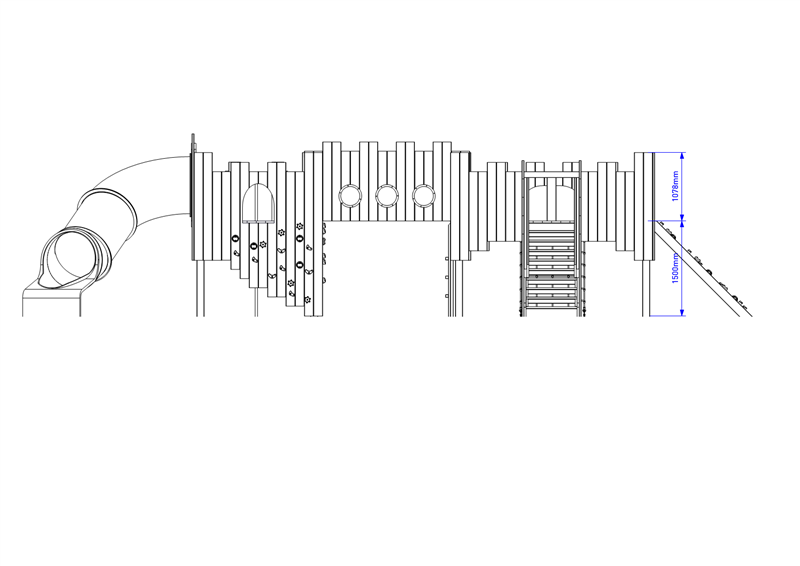 Our Langley Play Castle is the perfect outdoor resource for crossover between active and imaginative play and really adds something unique and special to your playground.